A tent for your bed that offers a secluded and private place to get better sleep at night or during nap time. We frequently document our love of naps and thankfully companies keep cranking out things that make nap time even better, like Privacy Pop, who have come up with The Bed Tent. 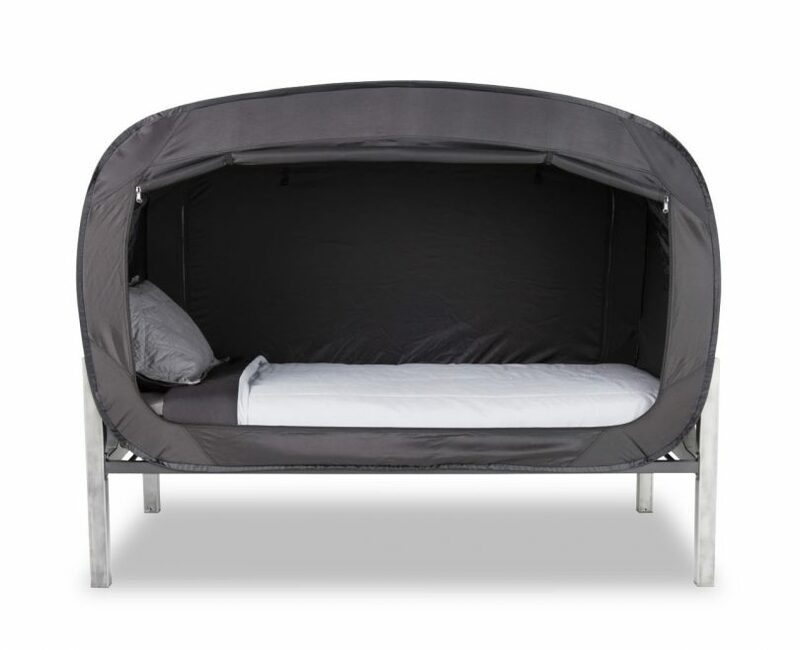 The Bed Tent offers a secluded and private place to get better sleep at night or during nap time. It’s designed to work with the mattress and bed frame you already own (it comes in every size) by fitting your mattress inside the tent with the tent on top of your frame. Whether it’s for someone who shares a room or someone who just likes additional seclusion, The Bed Tent not only increases privacy, it helps reduce the amount of ambient light from the room it’s in. There are doors on both sides that fold up or zip down for privacy, and at both ends there are mesh windows so you can control the amount of light and air. It’s easy to set up with poles that seamlessly fit together and break down is a snap as well. The privacy is nice and all, but let’s be honest, having an adult bed fort sounds pretty cool, right"
It comes with a compact carrying bag making it portable for use anywhere. The tent also comes in a bunch of fun colors for added enjoyment.